Vietnam is fast becoming one of the most vibrant business centers in Asia. With many multi-national companies doing business there and many more considering setting up shop, it is no wonder so many businessmen and women visit Vietnam every year. To the uninitiated, traveling to Vietnam can be somewhat frightening – not in terms of personal safety but in terms of perceived hassle and inconvenience. If you have never traveled outside your home country, or just traveled to Europe, you might not understand some of the entry requirements needed for travel to Vietnam. For instance, business travelers to Vietnam must have a valid passport, and the expiration date of that passport must not be more than six months from the date of travel. Business travelers whose passports expire before then will need to make arrangements to have the document renewed well in advance of their trip. It is far easier – and less expensive – to renew your passport when you have plenty of time to spare. In addition to the valid passport, those traveling to Vietnam on business will need to have some additional documentation to prove the legitimacy of their trip. That documentation consists of either a Vietnam visa, a visa exemption document from a Vietnamese embassy or consulate, or a written approval letter for a visa. Travelers must have this documentation upon arrival at the airport, so it is important to make arrangements with a quality travel agency before you leave home. Many business travelers find the best route is to arrange for an approval letter which can be picked up at the airport upon arrival in Vietnam. Having that approval letter arranged ahead of time can make the entire trip easier, faster, and ultimately more productive. Once the approval letter has been arranged, all the business traveler needs to do is pick it up at the airport. With that document, and the passport, in hand, the businessman or woman can simply head over to customs, present their documents and be on their way. While having an approval letter waiting for you at the airport will make your business trip easier, it is important to choose your travel agency with care. Not all travel agencies understand the somewhat unique entry requirements of Vietnam, and those inexperienced agents could make a mistake that could force you to delay – or even cancel – your important business meetings. When obtaining travel documents for a business trip to Vietnam, it is important to work with a travel agency that fully understands the entry requirements of the country, and one that has plenty of experience helping visitors to Vietnam get into the country with a minimum of hassle. Working with an experienced travel agency is one of the most important tips for business travelers to keep in mind. Doing business in Vietnam can be very profitable for you and your company. The last thing you want is to have a problem with your paperwork delay your business dealings. Whether you travel to Vietnam once in a lifetime or once a month, you need to make sure that your paperwork and documentation are in order before you head out to the airport. Traveling to a foreign country is costly, and it can be complicated as well. Understanding the passport, visa and other documentation requirements of the country you are traveling to is one of the best ways to make sure your trip comes off without a hitch. Understanding the visa and other entry requirements is important no matter where you travel, but it can be especially critical for travel to Vietnam. Whether you are traveling on business or just for fun, you will need to have a valid passport whose expiration date is more than six months away. If you have been meaning to have your passport renewed, it is a good idea to get that taken care of before you start planning the rest of your trip. In addition to the valid passport, you will need to obtain either a Vietnam visa, a visa exemption document, which can be obtained from a Vietnamese embassy or consulate, or a written approval letter for a visa. Having this documentation on hand will make the entire entry process, and the whole trip, run a lot more smoothly. No matter when you are planning to travel to Vietnam, or for what reason, it is important to work only with a high quality, reputable travel agency. There are a lot of travel agencies out there, but not all of them have experience dealing with the specific entry requirements for a country like Vietnam. If you choose an agent who lacks these skills, you could end up at the airport in Vietnam without the paperwork you need to enter the country. Working with a reliable travel agent is one of the best ways to ensure a smooth process and a happy productive trip to Vietnam. A quality travel agency with plenty of experience in Vietnam will be able to walk you through the process step by step and help you get the paperwork and documentation you need to get through the airport and be on your way. If you expect to be a frequent traveler to Vietnam, you can work with us and enjoy a significant discount off of our regular prices. When you sign up for our frequency program, you can save 18 percent off of our regular prices for our services, and that can be a significant savings. Vietnam visa extension helps travelers continue staying in Vietnam after their visas expire without exiting Vietnam to apply for a new one again. When do I need to extend my Vietnam visa? You’d better extend/renew your visa at least 1 week (for 3 months visa, preferably 2 weeks) before your visa expiration date. Only your original passport, remember that your passport must have 2 blank pages at maximum. Which type of visa can be extended? For tourist and business Vietnam visa, the extension/renewal is only applicable for 1 month or 3 months (single/multiple entry). For diplomatic, official visas, or/and other types of visa, it should be applied through the official agencies or government or business sponsor or contact the Vietnam Immigration Department in person. How to extend my Vietnam visa? Step 1. 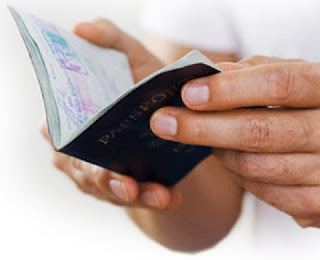 Please send us your scan of your passport and the page containing your current Vietnam visa to info@gettingvietnamvisa.com. Then we will send it to Vietnam Immigration Department to check your information before extending/renewing your visa. Step 2. We will inform you about the visa extension fee and whether your visa can be extended/renewed as visa extension varies for each case. In case, you are in Ho Chi Minh City, please let us know your current address so that our staff will come in person to pick up your passport. Step 4. Wait some days to get your passport back together with your new stamped visa. The processing time takes from 5 to 10 days, depends on your type of Vietnam visa. 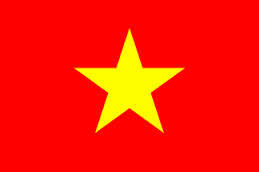 - They are not in the list of persons not permitted to enter Vietnam. Copyright (c) 2011 Vietnam Immigration.